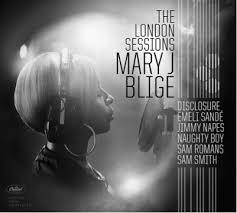 I have always love Mary J Blige’s music so I was excited to hear that I would be able to review her new album. My daughter even enjoyed the music. She kept telling me to dance. When she loves a song she either tries to sing it or will dance to it. Its so cute seeing my 2 year try to dance to the music. I really love Right Now, Doubt, When Your Gone and Pick Me Up. I wanted to share this with you. With a track record of eight multi-platinum albums, nine Grammy Awards (plus a staggering 31 nominations), a 2012 Golden Globe nomination, and four American Music Awards, Mary J Blige is a global superstar. And in ensuing years, the singer/songwriter has attracted an intensely loyal fan base – responsible for propelling worldwide sales of more than 50 million albums. Disclosure: I got this music album free of charge in exchange for my honest opinion. All opinions displayed here are my own. Thank you One 2 One network! This entry was posted in Reviews and tagged #O2O, #thelondonsessions, london, mary blige, mary j blige, mjb, Music, One2One Network, sessions, USA. Bookmark the permalink.